Secret Cinema has today announced that further tickets have been added for the previously sold out production: Secret Cinema Presents Casino Royale. The experience will now run from Wednesday 5th June to Sunday 22nd September 2019. The additional tickets and show nights go on sale on Friday 25th January 2019 at 12pm (GMT). This highly anticipated experience sees Secret Cinema present the critically-acclaimed film Casino Royale (2006) directed by Martin Campbell and starring Daniel Craig as James Bond. The announcement of additional tickets for the previously sold out event has been made due to phenomenal consumer demand. The reimagined space enables the kings of immersive cultural experiences to create the largest, most detailed world they have ever produced whilst offering those that missed out initially an opportunity to participate in one of the most anticipated cinematic events of 2019. Recruited as part of ‘Operation Wildcard’, attendees will join either Q or M Branch. All audience members will be given the opportunity to develop their own character, receiving a thorough MI6 brief containing an alias, dress code and training suggestions to help them prepare for a night of high stakes, sophistication and deception. 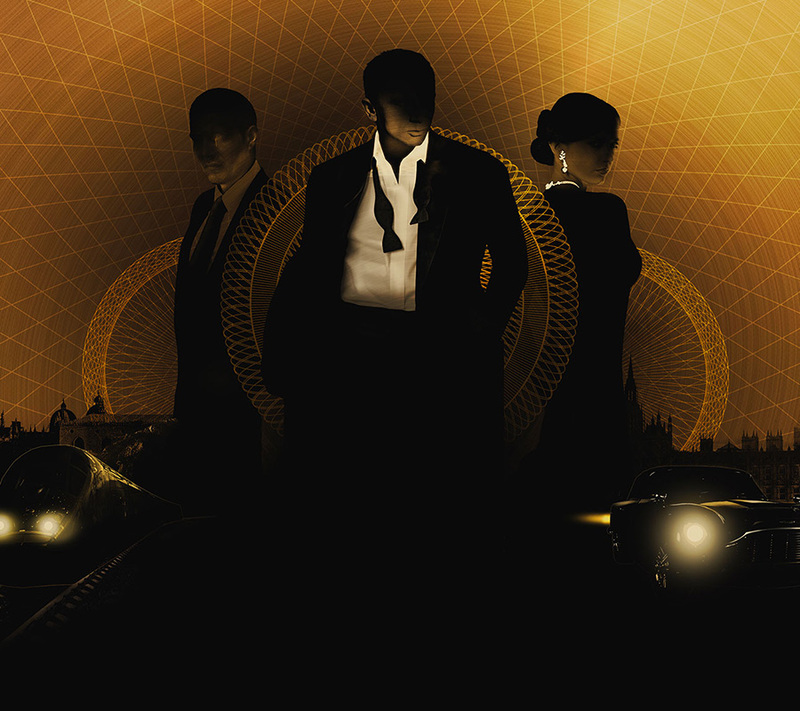 Blurring the lines between fiction and reality, Secret Cinema Presents Casino Royale will completely immerse audiences into the glamourous and action-packed world of the iconic and legendary British spy. Created by Fabien Riggall, Secret Cinema has thrilled audiences for over a decade with its ground-breaking event format that combines film, music, art, and theatre through the prism of iconic and beloved film. With the addition of extra dates this experience will be its longest-running production. 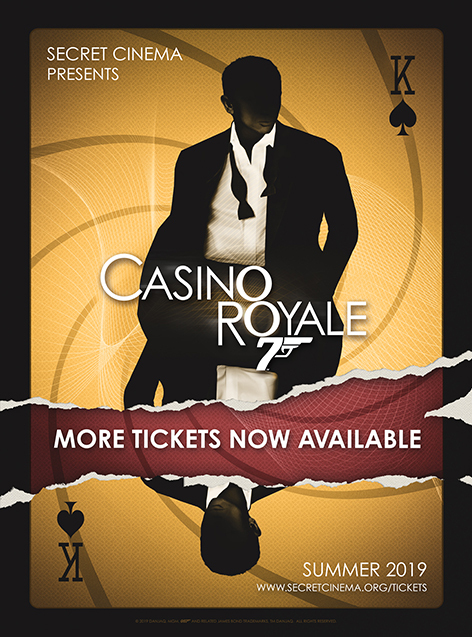 Additional tickets for Secret Cinema Presents Casino Royale will go on sale on Friday 25th January at 12pm (GMT). Prices start at £49 + booking fee with VIP packages from £125 + booking fee also available.